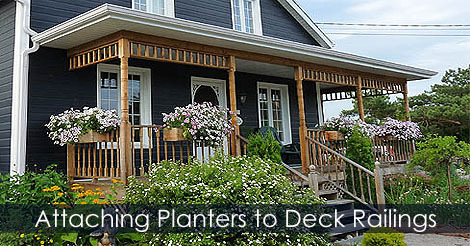 How to secure window boxes on deck or patio railings? 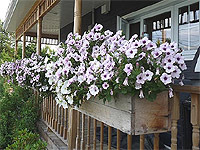 Lean your new flower boxes to the front of your deck railing posts or balusters. From inside the flower box, screw galvanized screws into the balusters. 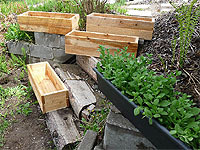 You can also place the planters in a flower box railing brackets. Learn how to attach a railing planter box to deck railing.